According to new research from Kaspersky Lab, consumers – including holiday makers and business travelers – conduct a lot of financial operations online when abroad, putting themselves at risk when they are not properly protected. The research discovered that 45 percent of travelers believe losing money is one of the top-three threats they may face abroad, and credit card compromise is considered to be a top-three threat by 35 percent of users. These concerns are well-founded – the research also highlighted that there is a real danger when it comes to losing money when traveling: 22 percent of respondents have experienced such a loss, and 8% have had a card compromised whilst in a foreign country. In contrast, fewer respondents named device infection (11 percent) or online fraud (20 percent) as one of their top-three worries whilst traveling. 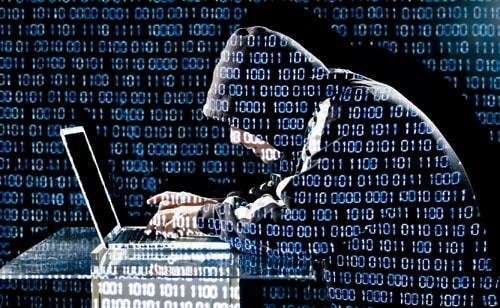 That’s despite the fact that 18 percent has been a victim of cybercrime when abroad. Among these, 6 percent has been hit when banking online and 9 percent when shopping online. It’s not surprising that travelers are becoming victims of cybercrime. 82 percent connect to public Wi-Fi anywhere when abroad and, using this potentially risky connection which can be intercepted and used by cybercriminals, 61 percent of consumers bank online and 55 percent shop online. In addition, 42 percent of users admit that they shop online with their credit card the same amount, or more, than they do at home. Without the appropriate protection in place, this behavior is exposing users – and their money – to unnecessary danger, but only 34 percent of users apply a secure connection (VPN) when connecting to public Wi-Fi, while 18 percent express that they do nothing at all to stay protected. “In today’s connected world, we are able to travel easily, for work or pleasure, and stay connected whilst we do. This ability brings with it amazing and exciting opportunities, but also exposes us to dangers if we are not careful. It’s all too easy to connect via potentially insecure Wi-Fi abroad then continue our normal habits of banking and shopping online, without stopping to think about the consequences of what we are doing. As we approach the summer holiday season, we urge travelers to be more cyber savvy, think twice about their online activities abroad and put measures in place to protect their money from harm,” said Elena Kharchenko, Head of Consumer Product Management, Kaspersky Lab. To prevent the loss of money, users should behave safely when they are abroad. They should never lose sight of their credit cards, only connect to the Internet via a secure VPN connection, and use a robust security feature.